Hourglass Women’s Fat Burner is exactly that, a fat burner made exclusively for women. But why is it exclusively for women? What is in the formula? Is it better that LeanBean or Instant Knockout? 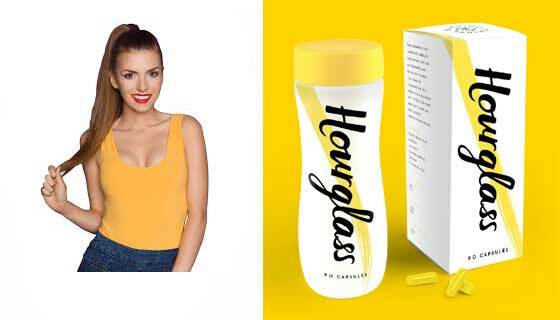 Hourglass is a diet pill for women that comes in a stylish yellow bottle that has attractive curves that suggest a waist. It’s a nice touch. Someone has put a lot of thought into the bottle design and it’s refreshing to see a female fat burner flying a colour other than pink, but what we really want to know is, does Hourglass work? Let’s see if it can give all those pink fat burners a run for their money. Hourglass is available direct form it’s own official website. There are various packages and special offers available. The current best being buy 3 and get 1 free. Hourglass is powered by a formulation of natural ingredients that have been chosen for their ability to boost energy levels, suppress hunger, and help the body to burn fat instead of storing it. The product has been brought to market by Propura Ltd and the company website provides an impressive amount of information about Hourglass, the ingredients it contains, why each of them was chosen, and how they help the formulation do the things it’s supposed to do. Although Propura appear to be a newcomer to the diet pill industry, they have managed to come up with a very good formulation and refrain from making any overly pretentious marketing claims. In fact, the company makes the importance of diet and exercise very clear. Hourglass is not a magic pill and, although we feel the formulation may be able to do a lot more, Propura are only promising dieters a weight loss of 2lbs per week. Vitamin B6 (4mg): A vitamin that helps the body extract energy from food. Vitamin B6 is a key ingredient in Red Bull. Vitamin B12 (10mcg): Another popular energy drink ingredient. Vitamin 12 helps the body extract energy from food as well, while also supporting the manufacture of the red blood cells, which transport oxygen around the body and produce the energy carrier ATP. Vitamin D3 (1000IU): Although it’s a vitamin that’s often overlooked by diet pill manufacturers, science shows a link between Vitamin D3 and weight loss. Glucomannan (1500mg): Possibly the most effective appetite suppressant in the world, glucomannan is a natural fiber that expands in the stomach to create a feeling of fullness. Capsimax (100mg): A branded capsicum extract that packs a lot of power. It works by suppressing hunger and boosting the metabolism. 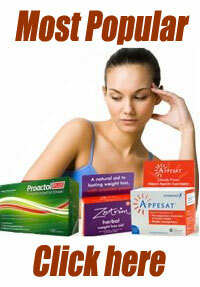 Green Tea Extract (500mg): A popular diet pill ingredient. Research proves green tea helps the body to burn fat and is also good for the heart. Guarana (100mg): A tropical berry extract that offers a slow delivery of caffeine. Caffeine is good for boosting energy and mental focus. It’s also a proven metabolism booster and thermogenic fat burner and the steady way guarana releases caffeine allows it provide longer lasting benefits than other sources of caffeine do. Chromium Picolinate (125mcg): A popular chromium-providing ingredient. Chromium has value because it modulates blood glucose levels and insulin secretion. It’s important this delicate balance be maintained because sudden fluctuations cause cravings for sugar and carbs. Bioperine (5mg): A patented black pepper extract that aids the smooth absorption of other ingredients. Research shows the piperine provided by black pepper may also have fat reducing capabilities. Usage Instructions – One capsule in necessary, three times per day and should be taken with a meal. Maximum benefits can be obtained by using Hourglass as part of an overall weight management regimen that includes a healthy low-calorie diet and some form of regular exercise. At the time of this review, Hourglass was new to the market and had not been available for long enough to attain any customer reviews. None of the ingredients used in Hourglass have a reputation for causing problems, but women who are pregnant or nursing a child should always check with a doctor prior to using any type of dietary supplement. The same advice is offered to people who have existing health problems and to anyone using prescription or over-the-counter medications. Hourglass is backed by a 90-day money back guarantee. The choice of ingredients used can make or break a weight loss product. In this case we are glad to say all the ingredients are fist-rate and the presence of Biotin in the formulation should help enable the body to put them to use as quickly as possible. The green tea and capsicum content alone would be enough to deliver the promised fat burning effect and the presence of the two B vitamins and guarana should help women using the product to avoid diet-related energy slumps. As far as appetite suppression goes, glucomannan is powerful enough to go it alone, but it doesn’t have to because Capsimax is a good appetite suppressant as well, and the presence of chromium should offer protection against carb and sugar cravings. As far as the formulation goes, we can’t fault this product. The Hourglass money back guarantee is also very good. Ninety days is a long time. Plenty long enough to let Hourglass users see what it can do. This is a very impressive product. It gets top marks from us an is an easy addition to our list of recommended products. 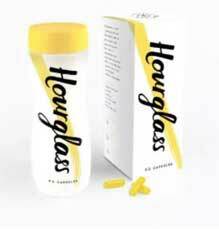 Hourglass is exclusive to the manufacturer’s website and, although it already has the advantage of being cheaper than most competing products, generous bulk buy discounts and incentives are available as well. Worldwide shipping is available and Propura operate out of two distribution centers (UK + USA) to help ensure speedy delivery.